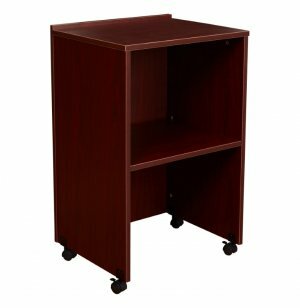 Combine this A/V Cart-base with a Table top Lectern for a versatile, mobile podium! 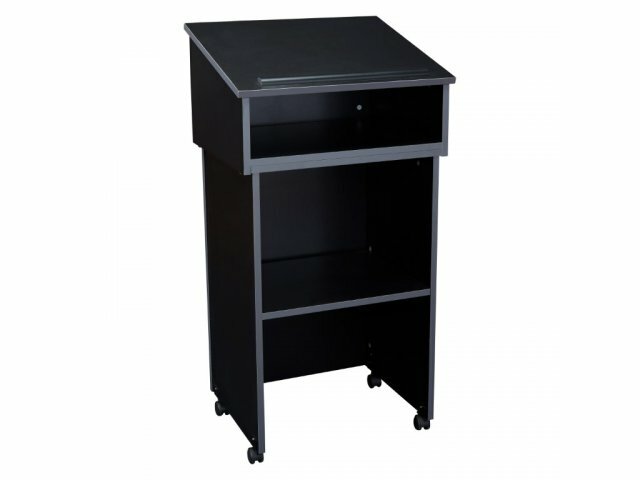 The Two-Piece Lectern/Cart can be ordered as a tabletop lectern or with this A/V cart to create an entire unit. This podium AV base converts the tabletop lectern into a full floor lectern. 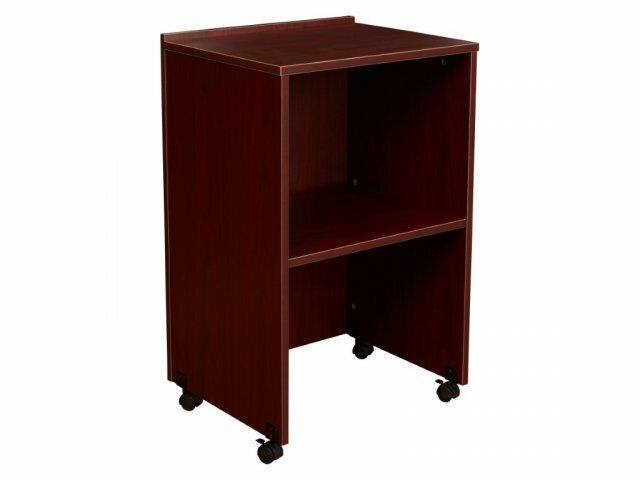 In addition the podium base can be used separately as an A/V cart for your presentation material. 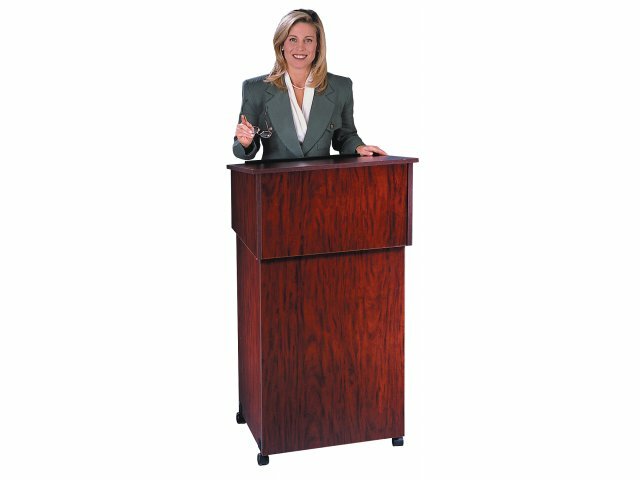 This innovative lectern idea provides added lectern mobility and great economical value! 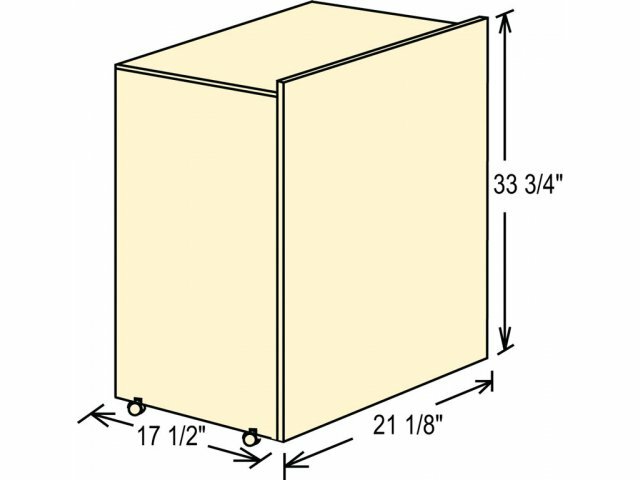 Four easy roll casters (two locking) for easy maneuvering.